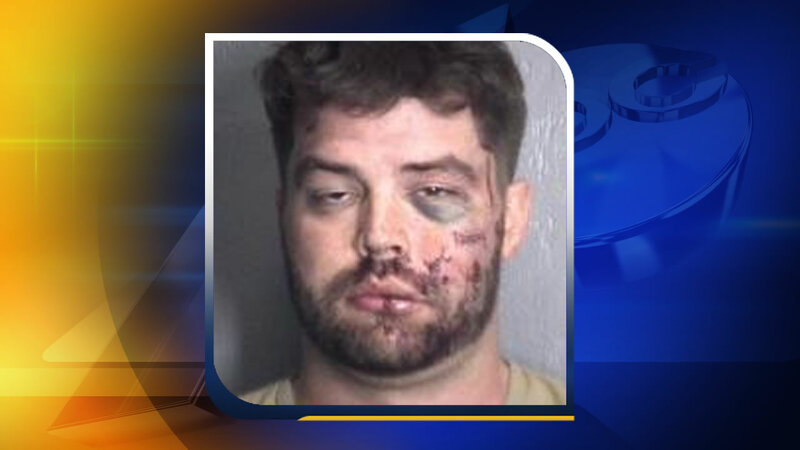 CAROLINA BEACH, North Carolina -- A booking photo shows what happened to a man accused of breaking into a Carolina Beach home. WWAY-TV reports it happened around 9 p.m. Saturday. Police say the homeowner heard 28-year-old John Alexander Bracken kick in a door and confronted him. The two got into a fight as the homeowner protected his property. When police got there, they found Bracken lying in the front yard. The homeowner was not hurt. Bracken was taken to the New Hanover County jail where he later bonded out.